Casual Wear Comfy White Cotton Kurti Tunic w/ Black Print - Yellow and Green Piping really provides a bright Contrast! This item in Indian Kurtis & Tunics category was first added to our catalog on 09-12-2018. 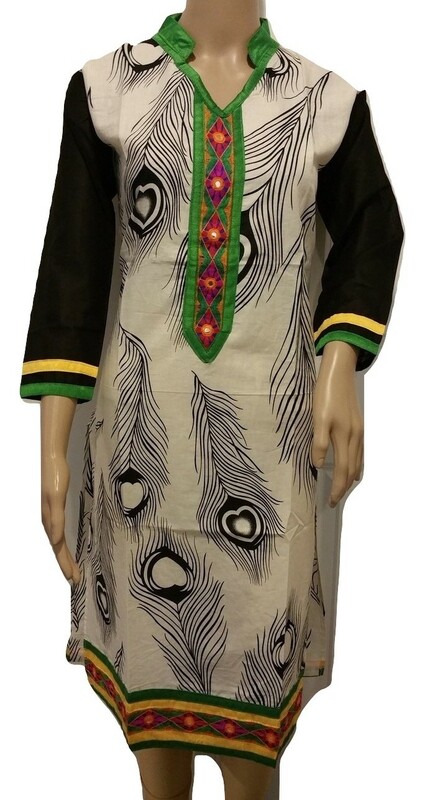 Buy Casual Wear Comfy White Cotton Kurti Tunic w/ Black Print Size 40, sold & shipped by Tunic Hub where you can shop online for Designer Kurtis, Salwar Suits, Leggings, Palazzos & Cute Nick Nacks. 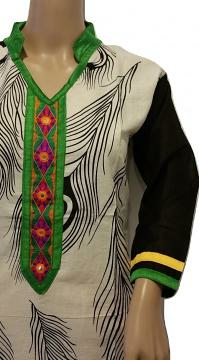 This Kurtis & Tunics collection has been tagged as Casual Kurti, Cotton, White, Black Print, Green, Yellow Contrast.